Charlie’s Catering & Company provides its clients with unparalleled service in the catering industry of the Milwaukee area. Our delivery service area extends upwards of 75 miles in any direction from our location in South Milwaukee, making our delivery services convenient for you and your event. 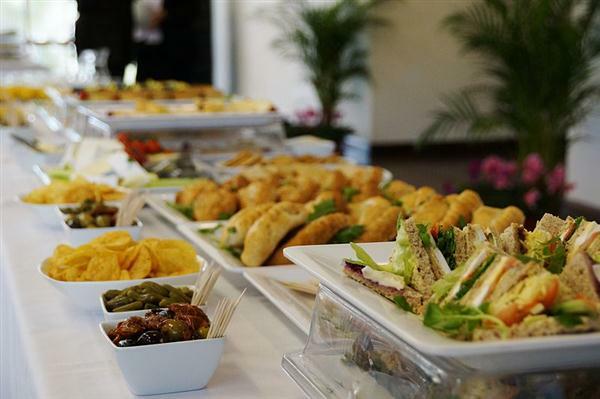 Charlie’s Catering offers efficient food services to you and your guests with our buffet style catering. Traditionally, guests are set before a variety of dishes where they can choose which best suites their tastes at the time of the event. Not only is buffet style catering easier for hosts to manage, but more efficient in feeding large groups of people simultaneously. You can feed approximately 100 guests in under 40 minutes with an average sized buffet table set up—ensuring that everyone gets fed and back to the main event in no time. Buffets offer guests more options than they would have in an ordinary serving situation: rather than paying for one exclusive entrée option for your guests, you have the option with Charlie’s Catering to give your guests endless options, including BYO bars. This option works perfect for those with dietary preferences or restrictions, and our chefs can even build a custom menu with options unique to you or your guests. Our team will deliver your food to the event location the day of, set up the table with accessible trays of food and utensils, and leave all before your guests arrive ensuring the most efficient catering experience so you don’t have to worry about the food while enjoying your day. 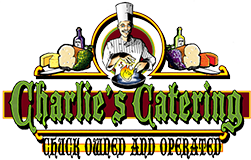 Charlie’s Catering specializes in quality care and food—all at the right price for you. Our extensive menu selections range in affordability so every party gets the food it needs without breaking the bank. Even if you over order—which is highly recommended in case some guests are unexpectedly hungrier than others—you’re still getting the most affordable catering for your Milwaukee area event. Speak with our expert caterers to determine how much food you’ll need for: kids parties, weddings, corporate lunches, and more. Contact the professional Milwaukee caterers for more catering information or to place your order today.